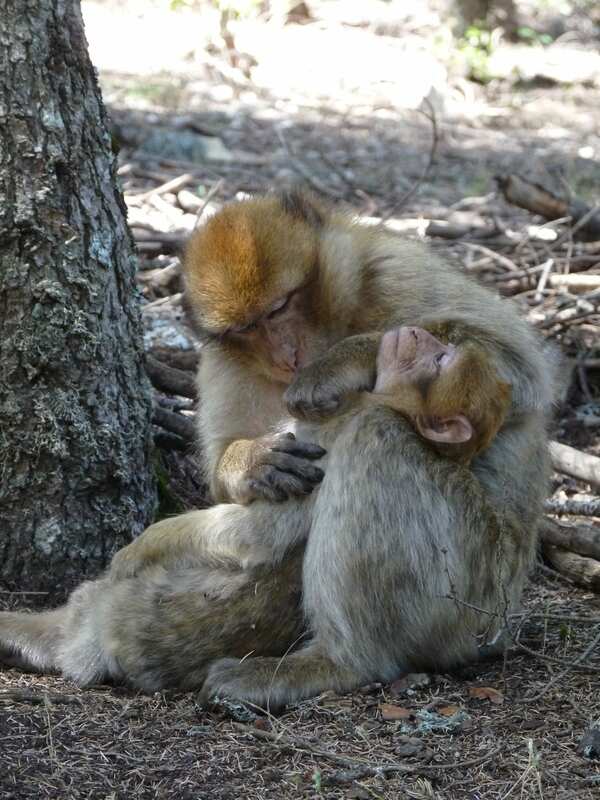 Our team has recently published two studies on the benefits of grooming exchange in Barbary macaques. Grooming is intensely studied by primatologists as a model behaviour to analyse the benefits of sociality. In our first study (Molesti & Majolo 2015) we found that grooming did not increase food tolerance soon after a grooming interaction ended. This is not a surprising result, as the social benefits of grooming are more likely to become evident when considering large time windows than over short-term exchanges. In our second study in male macaques (Young et al 2014), we found that monkeys with strong social bonds (measured by grooming exchange and other friendly behaviours) were better able to cope with social (aggression received) and environmental (low temperature) stressors. This supports previous research on humans and other animals in showing that sociality gives benefits in terms of survival, reproduction and response to stress. Molesti S & Majolo B. (2015). 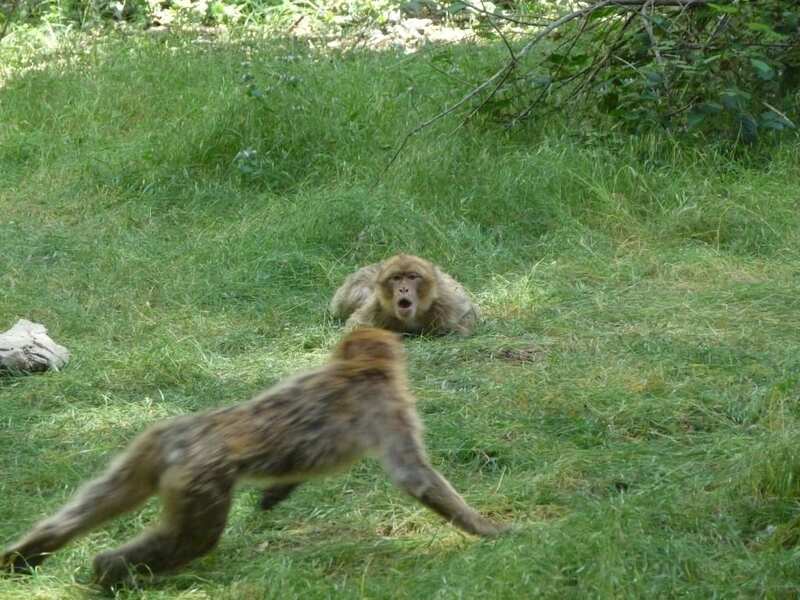 No short‐term contingency between grooming and food tolerance in Barbary macaques (Macaca sylvanus). Ethology, 121: 372-382. Young C, Majolo B, Heistermann M, Schülke O, & Ostner J (2014). Responses to social and environmental stress are attenuated by strong male bonds in wild macaques. Proceedings of the National Academy of Sciences, 111: 18195-18200. This entry was posted in Publication and tagged publication. Bookmark the permalink. ← Who is your best ally in a fight? I was looking to travel to Azrou later this year and would like to photograph the Barbary Macaques in their natural environment. I’ve read a lot about how much the population has been disturbed by tourists and I’d really like to find out how I can do this with absolute minimal impact, hence my email to you. I know I could just turn up and that there are a few ‘tour operators’ who will take you to see the Macaques, but I have no idea how well run these tours are, and how much they respect the animals as wild beings. sorry for the late reply! The best thing to do is to contact people who run the Monkey Watch eco-tourism programme for the Moroccan Primate Conservation foundation: they should be able to advice.